The state government has decided to reduce the number of gazetted holidays for calendar year 2018 to enable better public service to the citizens and also to ensure more teaching days in educational institutions.“With this reform, state government offices will remain open for 21 more days in 2018 compared to 2017. At the same time, government employees will be able to avail more restricted holidays than previously — in keeping with their preferences,” said a spokesman.The state government has declared 18 gazetted holidays and 39 restricted holidays for 2018. Government employees will now be eligible to avail five restricted holidays compared to two restricted holidays earlier.The spokesman said the state government has tried to strike a balance between its commitment to bettering public service and more teaching days in educational institutions on the one hand and the requirements of its employees to avail holidays on the other.“Now, the number of gazetted holidays in Punjab (only 18) are comparable to the number of holidays by the Government of India which has declared 17 gazetted holidays for 2018,” he said.For 2017, the state government had declared 37 gazetted and 20 restricted holidays. Employees were allowed two restricted holidays.The Shiromani Akali Dal (SAD), meanwhile, termed the Congress government’s decision to slash the list of holidays as a “totally dictatorial, irrational and insensitive” step taken without taking the other stakeholders into confidence. The party demanded its immediate rollback.In a statement here, SAD spokesman Daljit Singh Cheema said deleting occasions from the list like birth and martyrdom day of Bhagat Singh, Baisakhi, Mahashivratri, Parshuram Jayanti, May Day, martyrdom day of Udham Singh, Eid-Ul Zuha, martyrdom day of Guru Teg Bahadur and installation day of Guru Granth Sahib was wrong.Rejecting the state government’s “lame excuse” of providing better governance by slashing government holidays, the SAD leader said that the Amarinder government hasn’t even found time to complete its Cabinet strength by executing the much-needed expansion in the past nine months. CHANDIGARH : Decks have been cleared for special trains to take devotees for the 350th birth anniversary celebrations of 10th Sikh Master Guru Gobind Singh from Punjab to Patna Sahib and back. The Punjab government had sought permission from the Indian Railways to run special trains from Amritsar, Bathinda and Patiala to Patna Sahib following chief minister Amarinder Singh’s directives. The Railways has given permission to the state to run the trains to Patna on December 22 and back on December 27, an official spokesperson said here. The formal permission from the Indian Railway Catering and Tourism Corporation (IRCTC) was received by the state transport commissioner (STC), the spokesperson said. The trains from Amritsar, Bathinda and Patiala will leave on December 22 and reach Patna Sahib the next day. The train from the Amritsar Railway Station will leave at 9.45 am and reach Patna Sahib at 11.45 am, the one from Patiala will leave at 9.30 am and reach at 11 am and the third special train from Bathinda would depart at 9 am and reach at 11 am on December 23. These special trains would start from Patna Sahib on December 26 and return to their respective destinations on December 27. Nearly 1,500 devotees are expected to travel in each of these trains. Government officials and a team of doctors will be available onboard the trains, the spokesperson said. Not on: The conspiracy theory against senior Opposition leaders is a new low. THE roles of a Prime Minister and the rabble-rouser in state assembly elections do not mix. 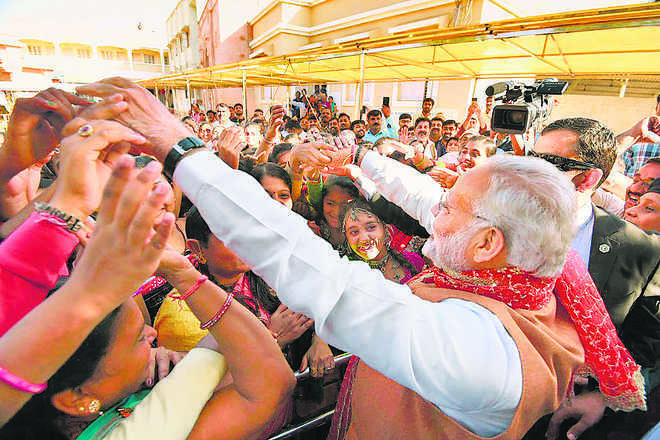 Although Mr Narendra Modi had given us a foretaste of it by discarding convention and practice that the person holding the highest political office in the land does not do politicking at the state level, Mr Modi was single-minded in his devotion to collect votes with crowd-pleasing themes and scorn for the Opposition.Mr Modi’s extravagances were bound to descend to the depth of low politics, and an address of his at a Gujarat election rally was so shocking that it demeaned the office of Prime Minister and shook the country to its foundation.Mr Modi insinuated that his predecessor and a number of other notables, including the former Vice-President and Army Chief, had a private dinner with Pakistani officials in Delhi to help plot Pakistan’s efforts to defeat the BJP in the Gujarat election.The charge was so ridiculous that Mr Modi should have been red-faced and although Dr Manmohan Singh was sharp in his response, many Opposition parties condemned this election rhetoric as a new low. Government spokesmen’s efforts to answer the near universal condemnation were feeble and unconvincing. Is there a method to stooping so low to conquer? It would seem so. Basically, the Sangh Parivar wants to outflank the middle class and concentrate on the masses, usually swayed by emotion and religiosity. The government’s ultimate aim is to build a Hindu rashtra to transform the country into a majoritarian state and it is imperative for the BJP to win votes, from Parliament and state assemblies to panchayats, to be able to alter the Constitution. The BJP’s eyes are fixed on the 2019 general election and all efforts are concentrated on how to undercut Opposition-ruled states either through subversion or by forming coalitions of convenience. Present efforts are concentrated on West Bengal, Karnataka and Kerala although Odisha is claiming some attention. What is the Opposition doing in the face of the BJP’s assault to alter the country’s moorings from secularism to majoritarian rule? Changes are already being made at the fringes to signify the primacy of Hinduism. After all, the Parivar’s attempt is to marry nationalism with Hinduism much like Israel runs the Jewish state by excluding non-Jews from citizen rights. As usual, the Opposition is divided. The Congress remains the only party with countrywide support, greatly diminished as it is. With Mr Rahul Gandhi taking over the party from his mother, his task is to form a priority-related programme with an energetic set of workers. Whatever the result of the Gujarat and Himachal Pradesh elections, Mr Gandhi has been learning on the job with quick repartees and giving selfies to members of the public. It would be too optimistic to believe that the Opposition parties will come together like a happy family. The splintering of parties in Indian politics is often determined by leaders seeking greater honours. Second, the tendency of opposition members to gravitate towards the ruling party for the loaves and fishes of office is common.For ideological parties of the Left, the end of the heyday of Communism has presented problems, like in the rest of the developing world. There was for a time the Russian and Chinese models to choose from, with Russia after the demise of the Soviet Union living through the chaotic era of nationalism, with Yeltsin passing the baton to Mr Vladimir Putin who retained the one-party Communist structure while marrying it to Orthodox Christianity.The Chinese have climbed on the bandwagon of economic capitalism while maintaining tight state control of key economic sectors. Their goal has been to take over advanced technological innovations by buying them or copying them or simply stealing them. They have been singularly successful in their endeavours and are now the largest exporters of solar equipment, to give one example. But the Chinese have married their Communism to ultra-nationalism.The short point is that Indian Communists, like their brethren in the rest of the developing world, have to fend for themselves. The CPM might still fly the flag of Marx and Engels but no one, including its followers, take these symbols seriously notwithstanding their rhetoric. The sooner the Left parties behaved like other organisations the better.It is up to Mr Gandhi to get all Opposition parties together to work out a basis of fighting the general election instead of waiting till the last minute for seat adjustment. Pulls and pressures for the number of seats is par for the course but the Congress leadership must persuade others of the benefits of a rational approach.The first-past-the-post system of parliamentary democracy would seem to favour the populist and rabble-rouser, but any system can be subverted, given determination and money. The BJP and the larger Parivar have both these assets in ample measure.Obviously, the country wanted a change when the BJP won the last general election under its own steam. In Mr Modi the RSS saw a leader with wile and determination to change the country’s direction and plumbed for him, instead of relying on senior leaders like Mr LK Advani who are past their prime. Thus far, Mr Modi has served the cause dear to them well to the extent of partially ruining the rural economy in Uttar Pradesh in particular. And the Prime Minister had to eat his words when reprimanded by the RSS on the number of cow vigilantes operating in the country.Mr Modi’s election rhetoric will make his task of wooing the middle class that much more difficult. Many of the extravagances of poll rhetoric are taken as fair game. But the charge that a man of the stature of Dr Manmohan Singh is plotting against his country in league with Pakistan is preposterous and must be addressed by the Prime Minister after the results are out.It is a sad moment for Indian democracy that we should be discussing such insulting language of abuse and charges just to win votes. A total of 166 Gentleman Cadets were on Saturday commissioned as officers in the Army during the 12th passing-out parade at the Officers Training Academy (OTA), Gaya. Of the 166 newly inducted officers, four are foreigners while 14 belong to Assam Rifles. Lieutenant General Mohammad Sharif Yaftali, Chief of Staff, Afghan National Army, was the reviewing officer of the passing-out parade, while Lieutenant General B S Negi, General Officer Commanding-in-Chief, Central command, was the chief host. Yaftali was welcomed in customary Army’s buggy by Lieutenant General B S Negi and OTA and Gaya’s Commandant Lieutenant General V S Srinivas. The reviewing officer gave away the awards to Cadets who performed well during the training. Dharmesh Kumar was awarded ‘Sword of Honour’ for his best performance in the TES-30 course. Addressing the function, Afghanistan’s Army Chief of Staff congratulated Gentleman Cadets for their fine drill show and gave them best wishes for the future. “Cadets should imbibe the qualities of being a disciplined soldier to be successful in career”, Yaftali admonished them. The OTA, Gaya is the third pre-commissioning military academy in the country and was raised on July 2011 apart from Dehradun and Chennai. Lt Gen Sanjay Kulkarni (retd) didn’t miss even minute details when he narrated the first landing of troops at Siachen on April 13, 1984. He was the first officer to have landed with his troops on the glacier.“We decided to acquire it in 1984 and so did Pakistan. But we surprised them. We chose April 13, auspicious Baisakhi day, and they fixed some day in May. Siachen is with us since. Gen Pervez Musharraf was a colonel then,” said Lt Gen Kulkarni. Lt Gen Manohar Lal Chibber was the Army Commander and Lt Gen PN Hoon was the Corps Commander then. “On April 12, we received our mountain gear and I was to be part of the first sortie. As the pilot was unsure of the snow’s firmness, he asked us to jump out. I threw a wheat bag to ascertain whether it was firm… With me, a telephone operator too jumped. We were told to first occupy Bilafond La. Platoon was of 30, so 15 sorties of Cheetah helicopters had to be carried out,” he said.“We were to go to Sia La, but the weather turned hazardous. On April 17, a soldier died and we had to open radio sets, though we were asked not to do so.” The next day a Pakistani chopper spotted them. “We pushed 15 sorties to occupy Sia La the same day. We would take seven days to reach there but Pakistanis could reach there in a day. 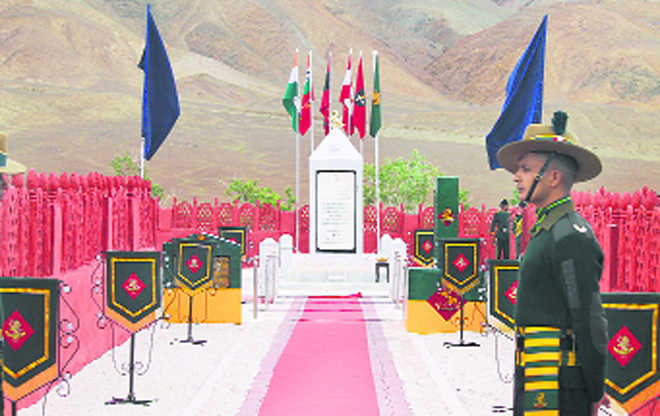 By the time they reached, both Bilafond La and Sia La were occupied… There are 70-80 posts now,” he said.On demilitarisation of Siachen, author Shiv Kunal Verma said if we had pulled out of Siachen, Pakistan could strike Ladakh ranges and India would need a huge force to defend it. 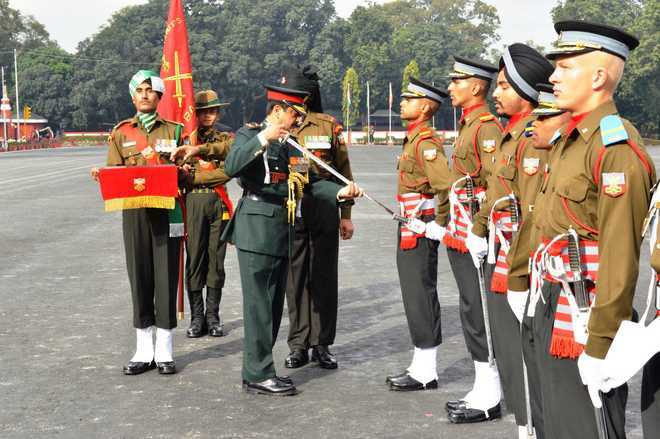 Commandant of the Indian Military Academy Lt Gen SK Jha today said the Bangladesh army chief’s visit to the academy would improve the relations between both countries.Chief of the Bangladesh army General Abu Belal Muhammad Shafiul Huq will review the passing-out parade to be held at the IMA on Saturday. He will be accompanied by his wife Shoma Huq.Lt Gen Jha asserted that Bangladesh was India’s close neighbour and the two countries share a 4,900-km boundary. “Both nations have great diplomatic ties and conducted joint military exercises in the recent past,” he said.He pointed out that the IMA had invited heads of the SAARC nations as reviewing officers for its passing-out parades in the past.“The army chiefs of Afghanistan and Nepal have reviewed the parade in the past and it is a matter of great honour that Bangladesh army chief will be at the IMA to review the parade this time,” Lt Gen Jha said.Referring to the training at the academy, he said stress was being laid on turning Gentlemen Cadets from scholastic warriors to techno warriors without compromising on physical aspect of the training.On proposed underpass along the Chakrata road, which divides two campuses of the IMA, the Commandant said the proposal was in the final stage. He asserted that an underpass would help in strengthening security arrangements at the IMA. Despite four full-blown wars, a conflict in Kargil and the dramatic capture of Siachen Glacier in 1984, any history detailing the role of Indian Armed Forces remains cloaked in secrecy. With no clear policy on declassifying military files, details are not known beyond the closed circle of armed forces; the only officially released history is that of the 1947-48 India-Pakistan war published by the History Division of the Ministry of Defence (MoD). Beyond that, sources of military history in public domain are books written by retired officers. The ‘histories’ of Indo-Pak wars of 1965 and 1971 have been published by the MoD, but these carry a caveat by the authors: “I don’t consider this as an account of proper history”. In the military, the units are building blocks. On ground, the troops have no training to document historical records. Researchers are handicapped in the absence of a system to collect and collate data, maps or sketches in archives. Transfer of post-1947 military records to the public domain has not been satisfactory. A popular belief is that India was totally ‘disgraced’ in the 1962 India-China War, all thanks to the narrative from Australia-based author Neville Maxwell’s book India’s China War that blames India for the ‘forward policy’ in the Himalayas and identifies it as a trigger point for ‘justifying’ China’s attack along the disputed frontier. But is it entirely correct? The Henderson Brooks report on the 1962 War is classified even as Maxwell put out portions of it on a website. Another book, History of the Conflict with China. 1962, released for ‘restricted’ circulation by the MoD in March 1993, says the ‘forward policy’ — a decision taken by India in November 1961 — was to restrict the Chinese to their claim-line of 1956 and stop claims over the new territory in 1960. It was to “prevent further infiltration into unoccupied areas of Ladakh”, says the book that accepts the shortcomings, but tells how Indian troops held on in Ladakh, most notably at Rezang La in eastern Ladakh, just 5 km south-east of the hamlet of Chusul. 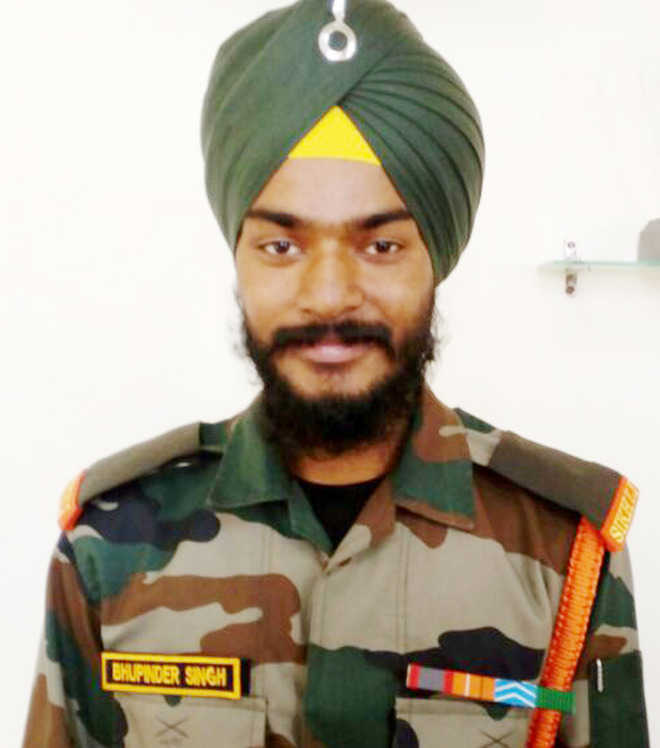 “The Indian soldier was defeated but not disgraced in Ladakh,” it says, dispelling the notion of ‘disgrace’. Other than the 1962 war, the book narrates the 1967 Nathu la (Sikkim, then not part of India) firing incident. It reads: “The Chinese troops suddenly opened machine gun fire on September 11, 1967, inflicting heavy casualties. The GOC 17 Div — the redoubtable Maj Gen Sagat Singh — blasted the Chinese positions with 5.5 medium guns. The Chinese agreed to a ceasefire on September 16. They had lost 400 men killed or wounded as compared to Indian loss of 65 killed and 145 wounded.” This hour of glory is officially not de-classified. A small number of Indians, including the writer, have this book, which carefully carries the caveat: “The facts do not necessarily reflect the view of Government of India”. This indicates lack of ownership. Anecdotes abound about Operation Meghdoot (Siachen), Operation Pawan (Sri Lanka) or the nine-month India-China standoff at Sum Drong Chu in Arunachal Pradesh in 1986-87. The Public Record Act 1993 does not entail automatic declassification of military records and exemptions under the Right to Information Act 2005 are a deterrent for researchers. 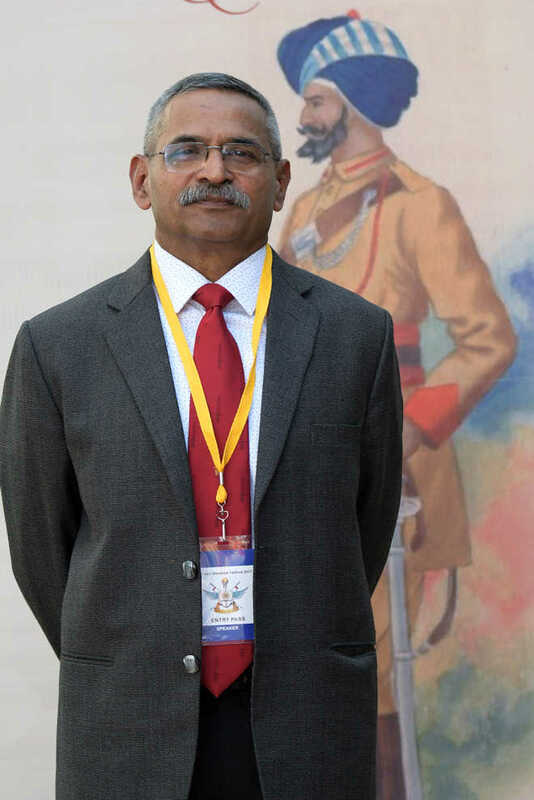 His views are echoed by Cmde Abhay Kumar Singh (retd), research fellow at the Institute of Defence Studies and Analyses. “There is no system of declassifying files. The Navy has published its history and has put it on its website, means the Navy backs it,” he says. The British dovetailed their version of history into accounts of military-diplomatic operations during ‘The Great Game’ (1815-1907) when the British expanded into Punjab and Kashmir. They attempted to capture Afghanistan and captured Lhasa, Tibet while the Russians entered and captured central Asia. The British changed the course of history of Punjab and documented it. Gen Sir Charles Gough, who, as a teenaged officer of the Bengal Cavalry, took part in the Second Anglo-Sikh war (1848-49), penned The Sikhs and the Sikh Wars: The Rise, Conquest, and Annexation of the Punjab State. It was released in 1897, four years after Duleep Singh, the exiled son of Maharaja Ranjit Singh, died amid questions raised in Britain. In 1849, when the British had won over Punjab, JD Cunnighman came out with A history of the Sikhs, From the Origin of the Nation to the Battles of the Sutlej. It sets the narrative and is cited even today. In Tibet, British Army Officer Col Sir Francis Younghusband, under the guidance of his mentor Lord Nathaniel Curzon, Viceroy of India (1899-1905), invaded Tibet in 1904. London did not agree with Curzon-Younghusband annexation of Tibet, However, Sir Francis wrote India and Tibet in 1910, giving his point of view. The same was true in case of Afghanistan Lt-Col Sir Alexander Burnes, a British diplomat, wrote two books — Cabool: A Personal Narrative of a Journey To, and Residence in that City and Travels Into Bokhara. Burnes got knighted in 1839 and was killed in 1841, but such was the narrative that modern-day author William Dalrymple in his 2012 book Return of a King: The Battle for Afghanistan narrates how Burnes is still known as ‘Sikander’ in Afghanistan. Books by Gough, Younghusband, Burnes and Cunningham are still sold online and cited world over by researchers, historians and the media, further driving the narrative.